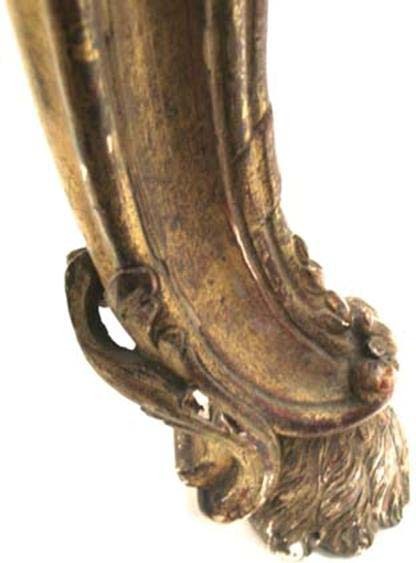 This photographs shows a detail of the foot of one of the legs of the stunningly-beautiful stand under this harpsichord. It shows an example of the wonderful carving and gilding typical of the workmanship of all of the rest of the stand. As can be seen there is even undercutting at the back of the foot - a detail that is virtually hidden and a luxury that remains almost un-noticed.